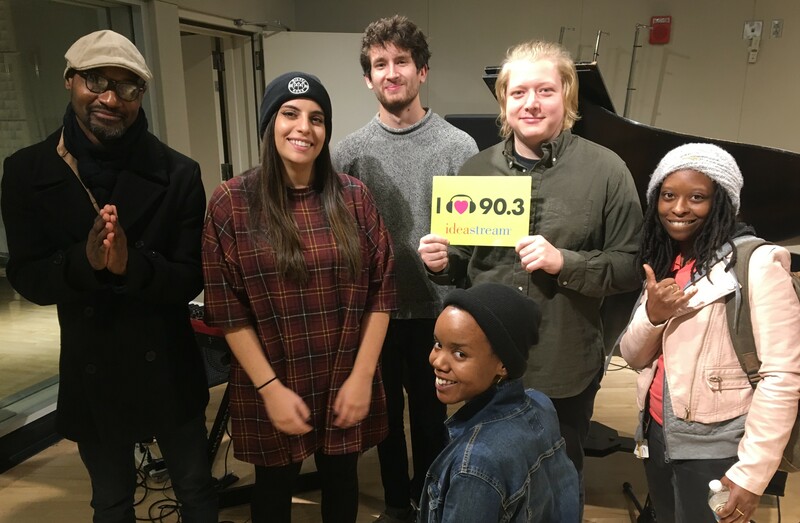 Recently on the 90.3 WCPN ideastream® Facebook page we hosted a special Facebook LIVE performance by Daniel Gray-Kontar & FreshProduce. (Brittany "DJ Red-I" Benton and Samantha "Playne Jayne" Flowers), acompanied by a live band (Eli Hanley, Daniel Fernandez, Jessica Yafanaro). We discussed the current state of Northeast Ohio's hip hop scene, and heard about the new musical avenues DGK & Fresh Produce have been exploring. Also we spotlighted Daniel Gray-Kontar's Twelve Literary and Performance Arts Incubator, an intergenerational teaching, learning, and performance space for poets and playwrights, located in the Waterloo Arts District in Cleveland's Collinwood neighborhood!